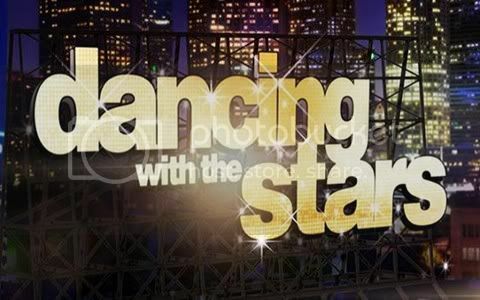 Quick Take: Dancing With the Stars 13, "Week 10 Results"
We've made it to the finals. Review: Dancing With the Stars 13, "Week 10 Results"
(S1321) After nine weeks of dancing we have finally made it to the finale of the thirteenth season of Dancing With the Stars. I must say that it has been a season full of ups, downs, surprises, and sore losers. Why couldn't all the contestants take their departure with the same humor and grace as Carson Kressley and David Arquette did? But anyways, we were left with Rob Kardashian, Ricki Lake and JR Martinez competing for the mirror ball trophy. Up first on the dance floor for their final push for viewer votes were Ricki Lake and Derek Hough who danced the cha-cha to Chris Brown's "Yeah 3x" which according to Len and Bruno lacked fluidity but overall was good. Anyone who has read my DWTS recaps before knows that I am not a Ricki fan. While I did enjoy watching her talk show back in the day, I have not been a fan of her personality and comments during DWTS. She comes off with this attitude that somehow she deserves to win more so than the other competitors. Then next (and my personal favorite) was Rob Kardashian and Cheryl Burke whose waltz earned them triple nine's from the judges. Bruno declared that it was light and flowing, while Len said that while Rob did lose his posture during the performance it was still beautiful. And last but certainly not least was JR Martinez and Karina Smirnoff who also danced the cha-cha but unfortunately not to the rave reviews of the judges. Carrie Ann and Len both felt that JR lacked musicality and that the performance was off because of that. To me it seemed like JR was going slower than the music. He blamed it on losing a step in the beginning and not being able to make up for it throughout the performance. They earned a disappointing 24. They say that the freestyle dance is what decides the winner of the entire competition and going into Tuesday night’s result show it was anyone's guess who would reign victorious after Rob and Cheryl and JR and Karina both scored perfect 30's for their dances. Not trailing far behind were Ricki and Derek who scored a 27. Ricki and Derek danced a freestyle that ran the gamut from quickstep to salsa moves that left the judges pleased. Next up, Rob and Cheryl's freestyle to "Minnie the Moocher" by The Blues Brothers blew all three judges away. And finally, JR and Karina's salsa inspired and high energy freestyle was almost the dance that wasn't when Karina had trouble pulling off a difficult lift during rehearsal. Thankfully she was able to calm her nerves come performance time and be able to pull out all the stops for a perfect 30. Going into Tuesday night's result show Rob and Cheryl were on top of the leader board with a 57 while Ricki and Derek and JR and Karina were tied with a 54. Each of them needed to perform their favorite dance of the competition once again for the judges. Ricki and Derek opted to perform their psycho tango from week 4 that earned them a near perfect 29, Rob and Cheryl decided to perfect their foxtrot from week 3 while JR and Karina decided to tweak their jive from week 2 which was criticized by the judges for having a lift and too much lindy. Ricki and Derek won this round with JR and Karina coming in second and Rob and Cheryl third, earning them a 30, 28 and 26 respectively. Unfortunately earning perfection was not enough for Ricki and Derek as they were eliminated from the competition and had to settle for third place. The remaining two couples then had to prepare for their final dance of the competition, an instant samba to Ricky Martin's "Shake Your Bon-Bon." While JR and Karina and Rob and Cheryl prepared for their final dance the previously eliminated couples took to the stage for one final twirl around the dance floor. While everyone did great the most memorable performances were turned in by David Arquette and Carson Kressley (no surprise there!). Carson and Anna did an ensemble performance with four other dancers to Madonna's vogue and Carson achieved his dream of dancing with one the Chmerkovskiy brothers, Val. Meanwhile, David and Kym also did an ensemble performance. They amped up their Broadway week quickstep performance to "We Go Together" from Grease with the Dancing With the Stars Troupe. Credit has to be given to Chynna Phillips who performed the tango she forgot the routine to back in week four, which ultimately sent her home. She and Toni were able to come out in the finale and nail it. Better late than never. JR and Karina and Rob and Cheryl both earned perfect 30's for their respective sambas. Which when added to their previous scores for the two days of competition left Rob and Cheryl ahead with 113 and JR and Karina with a 112. Unfortunately, Rob's valiant effort fell short and season favorite JR raised the mirror ball trophy in victory. The win was especially sweet for Karina who after quite a few seasons on DWTS finally won the coveted prize. It's only four short months until season 14 kicks off on March 19. I can't wait to see who the new cast of characters will be. great job with coverage all season frances !